It is interesting – at least to some of us! – that the management of trial master file content has developed into such a niche area of expertise, with plenty of regulations, requirements, systems and processes that are almost unique to this specific area of activity. That is why we place so much effort in monitoring the regulatory landscape and in maintaining dialog with our industry colleagues to ensure we stay at the forefront of this exciting subject. TMF management requires a thorough understanding of the clinical trial process, the pertinent regulations and legislation, and the purpose and value of each document in relation to trial activities. However, it is also very important to remember that TMF management is just one part of a much larger network of systems and processes. At its most fundamental level, the implementation of optimal systems and processes for TMF management requires a thorough understanding of Good Records Management Practices….. gRMPs. 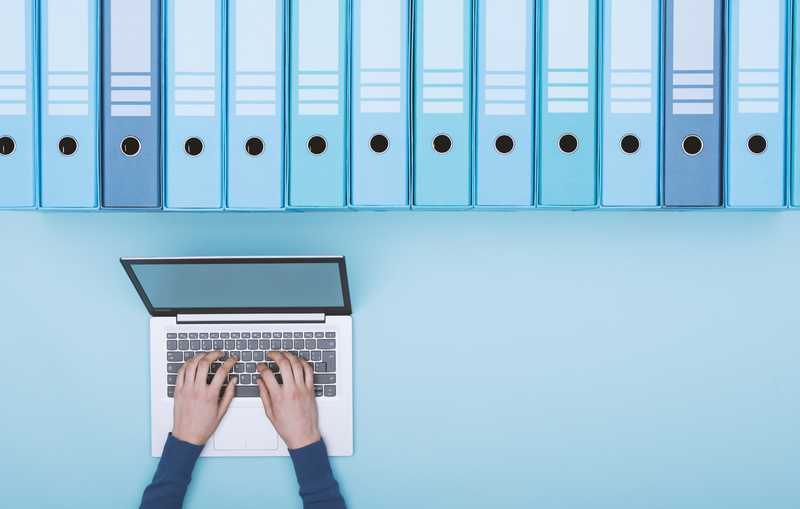 We need to understand how trial documents are being managed in the context of their overall document lifecycle, from creation through to their final disposition. TMF management is about more than efficient filing of documents; it touches on document and template design; taxonomies and classification schemes; information governance; and data preservation…. to name just a few records management issues we need to be aware of. We believe it is also critical to understand how TMF management fits into the overall drug/device development process, otherwise risk taking decisions in isolation of our fellow colleagues (silo-thinking). So how do requirements for GCP records management differ from those for GLP records or GMP records? And if our TMF repositories include content that originates in a GMP environment – which they do – then shouldn’t we have an understanding of GMP regulations that impact on records management processes? In recent years, we have seen a huge increase in the level of cooperation and collaboration between GLP, GCP and GMP inspection teams within our regulatory agencies. It does not make sense to think, for example, that the evolving expectations for GLP data have no bearing on those for GCP data. We need to be monitoring the development of regulations that impact records management across the GxPs. So at Phlexglobal, whilst we certainly see ourselves as “the TMF experts”, we see our activities conducted in a much larger framework that includes all aspects of records management and all areas of GxP…. and including business functions that are outside the scope of GxP. For this reason, we are very proud to be sponsoring the annual conference of the Health Sciences Records and Archives Association (HSRAA), being held this year from 8th – 10th May in Cardiff, UK. The agenda includes topics that are directly relevant to our core TMF activities, including a keynote presentation from Andy Fisher, Lead GCP Inspector, MHRA. However, HSRAA is not limited to GCP topics and so the agenda will be of interest across the GxPs. So, we’re looking forward to hearing about GLP inspection-readiness for example, to learn how our colleagues who operate under GLP might have solutions that could applied to GCP too. It will also be great to listen to topics on data integrity, electronic archiving, and knowledge management, and our own Chief Technology Officer – Barry Sacks – will be presenting our latest thinking on artificial intelligence and machine learning. We look forward to seeing you in Cardiff….. why not use discount code PXG070319 to secure a 15% discount on the conference fees.